For the last year and a half, I've been living and breathing AP. Four months in the making, it was originally an outlet for my newly found passion for Android, but quickly grew to be much-much more, frankly, way past any expectations I may have had. I've been through a rollercoaster of emotions, breaking news, drama, and excitement. I've probably looked through and found more apps than a person could install on 10 phones, learned more about life, business, travel, and people than I have in 5 years prior, and, most importantly, had a ton of fun doing it all. There was only one problem - I was running out of time. Literally. As the site grew bigger, so did my responsibilities, the team, the infrastructure, and the amount of unread emails in my morning inbox. Hell, just keeping up with all the social networks could be a full-time job on its own. All of it wouldn't have been such an issue - people deal with this kind of workload on a daily basis, but there was one problem: I also had an actual full time job. Over the last 2 years, I went from being a web engineer doing PHP and C++ to setting up a complicated Solr backend system to becoming an Android developer, all while spending almost every free minute with AP. ... to 2 days of work per week, of course (what did you think?). 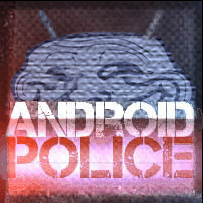 Starting this week, I am switching to a three-day part-time schedule at work and will dedicate two more days each week to Android Police, the team, and ultimately - you, our readers. It's an incredibly exciting time for this transition, especially with all the ICS goodness on the horizon, and I can't think of a better time to go through with it. My long-standing goal has been to get rid of the dreaded work Mondays, and it looks like it's finally going to materialize. I still like the people I work with, and it would be way too scary and boring to quit development cold turkey, so this part-time arrangement seemed like the perfect balance of continuing the professional carrier and spending more time on my own projects. I'm incredibly excited to have these two extra days each week to spend with such a great group of people, by which I mean both the editorial team and you, our readers and commenters. I'd like to thank my employer, Tunerfish/Plaxo/Comcast, for showing understanding to the situation and following through with our arrangement. Really, I appreciate this a lot. And now, back to our regularly scheduled programming - who knows, maybe there's some more ICS goodness waiting to drop and maybe, just maybe, the weekly app roundups will actually become weekly again (no promises!). P.S. In Justin's words, "Trololol." [Weekend Poll] What Is Your Primary Portable Music Player Device?